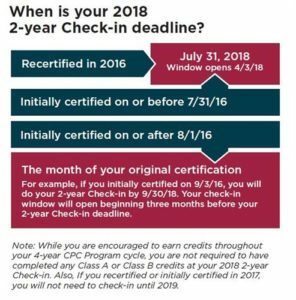 The first CPC Program 2-year Check-in window will open on April 3, 2018 for most CRNAs that recertified or initially certified in 2016. The deadlines chart on the right includes specific deadlines for your 2-year Check-in. Click here to download the deadline chart. 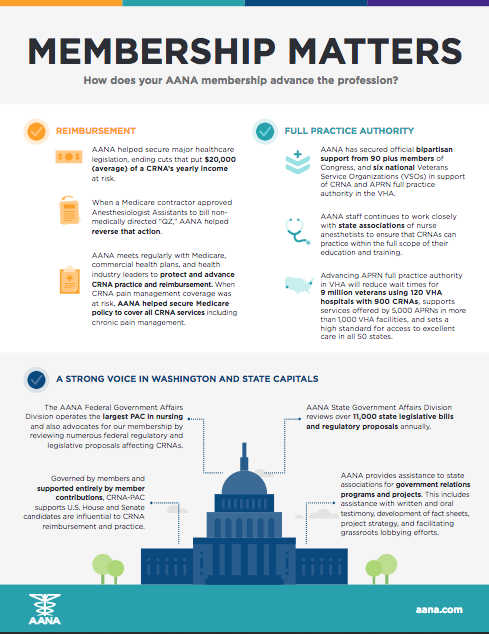 All CRNAs are urged to make sure their contact information is current, as NBCRNA reported that in recent years, they couldn’t connect with more than 5,000 certificants who had outdated contact information to provide important credentialing information. 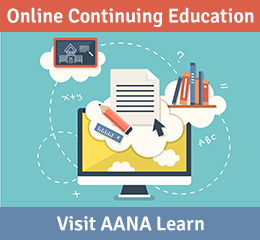 The NBCRNA website will serve as a valuable resource for all certificants, providing regular updates on the 2-year Check-in to ensure a seamless process. Reminders also will be sent with a link to the Check-in portal. Visit www.nbcrna.com/CPC for CPC Program resources, videos, a toolkit, and more information, or directly about the 2-year Check-in at www.nbcrna.com/2YCI. The NBCRNA will be in constant contact with certificants throughout the CPC Program to provide progress updates towards completion of the various requirements. Watch your inbox, follow NBCRNA on social media, and check the website for information and updates. Questions? Contact the NBCRNA at cpc@nbcrna.com or 855-285-4658.